Trying to keep pace with the rapidly changing digital marketing landscape can be difficult. It seems like every year there is a new strategy or trend that businesses ‘have’ to follow to keep up with the competition. The truth is that companies don’t need to chase trends to have an effective digital presence and keep up with their competition. At least not every trend. However, marketers do need to keep a close eye on the landscape and adopt new strategies and trends where it makes sense for their business. In 2019, we’ll see rapid growth in a number of different strategies. At RiseFuel, it’s our job to keep a close eye on the digital marketing landscape and ensure that we are recommending the best possible strategies to our clients. Not exploring a new trend could be a missed opportunity for our clients and therefore a missed opportunity for us. Inbound marketing is the bread and butter of what we do here at RiseFuel. In inbound marketing, the focus is placed on the content that you produce and the value that you are able to offer your customers. That won’t change. The industry is moving in one direction and it is toward higher levels of personalized content production, no away from it. According to HubSpot’s State of Inbound 2018 report, 55% of marketers say that blog content creation is their top inbound marketing priority in 2018. That won’t change in 2019, as more companies make the long-term commitment to producing more content and inbound marketing strategies. Look for inbound marketing and related internet marketing strategies, an already large part of the online marketing industry, to continue its growth in 2019. That was in 2010, though. Here we are in 2018, and video marketing still looks poised for huge growth in 2019. The proof is in the pudding. Marketers are constantly prioritizing video content over other types of content. After watching a video, 64% of users are more likely to buy a product online. Watching online video is becoming more ingrained in cultures around the world. Every single day, more than 100 million hours of video content are watched on Facebook. In 2019, we’ll see video marketing continue to grow at a rapid pace. It’s just too valuable for companies with the budget to produce professional videos to ignore. In growth hacking, every strategy you execute, tool you install, and technique that you use to gain traction is informed by your desire for growth. Often, in growth hacking, traditional processes take a back seat to results. Growth hackers view the digital landscape as a battleground and see their job as fighting in that battleground and rising above the competition at whatever the cost. They use data as their weapon and creativity as they vehicle. 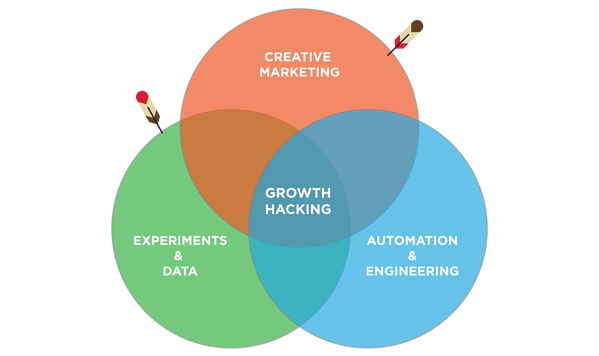 Growth hacking often employs small techniques, known as “hacks,” that help companies to drive demand and growth. Often, these strategies are in a moral gray area, which is one of the reasons why growth hacking has remained on the outskirts as a strategy. However, companies see the results that the practice is able to provide and want it for themselves, which is why we will see growth hacking take an even larger jump into mainstream marketing circles in 2019. Chatbot marketing is a marketing automation practice that is still relatively new to the digital marketing scene. Still, the strategy has so much potential and has received enough attention in 2018 that we think that it should stand alone on this list. Chatbots are simply bots that can hold conversations with customers. Facebook chatbots are among the most popular. They use the Facebook Messenger platform to receive feedback from customers, deliver important information, and guide users through the buyer’s journey. Facebook Messenger has more than 2 billion users in 2018 and the platform is severely underutilized based on its reach. Even with Facebook endorsing using Facebook Messenger for business (and debuting an entire platform for managing those interactions) companies still see chatbots as some sort of sideshow. That will change in 2019, as the increased awareness from 2018 starts to trickle down into real-world applications that will reach more customers. Marketing automation is the fabric that is weaved throughout the digital marketing industry. Automation seeps its way into every strategy, providing new ways for companies to grow relationships with prospects without having to dedicate the same time and effort that they once did. However, marketing automation is a strategy unto itself. When you make the decision to place your focus on automating systems, it becomes a big part of everything that you do. Marketing automation has grown rapidly in recent years and has shown no signs of slowing down as we make our way into 2019. 2019 will be an interesting year in digital marketing. As companies constantly wrestle for digital position, they latch onto the newest trends in an effort to boost their growth and grasp firmly to their current position. While 2019 isn’t chock-full of brand new marketing strategies, it does provide some interesting wrinkles to old trends. Meanwhile, some newer trends like growth hacking and chatbot marketing, appear poised for rapid growth. 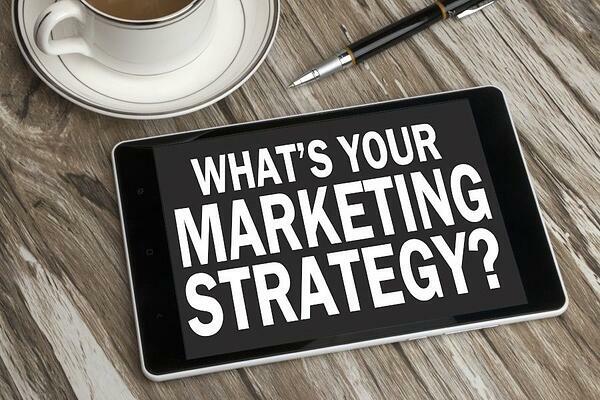 Look into the trends listed in this article and see what internet marketing strategies might be a good fit for your company.